Over the years, the Teen Mom stars have been the center of some pretty shocking controversies. Even though they all get taken down for their actions now and then, Jenelle Evans may be the queen of controversy when it comes to questionable decisions. Now, is she giving all of her past mistakes a run for their money? Fans are convinced that this picture proves she was drinking and driving! 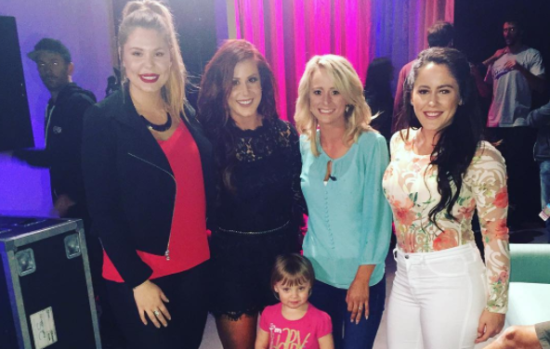 Be sure to keep reading for a deleted scene from Teen Mom 2! From the very beginning of her time on Teen Mom 2, Jenelle Evans has had a knack for getting into trouble. Whether it was being busted for trespassing and drug possession or pressing domestic violence charges, Jenelle has become very familiar with the inside of a court room. Add in the fact that she is continuing to seek custody from her mother, Barbara, and it’s safe to say that Jenelle is getting some good mileage out of those courtroom heels of hers. Jenelle hasn’t had a break from her endless scandals since she first appeared on the show, and now it’s clear that this isn’t going to stop any time soon. In fact, now fans are convinced that she’s not only broken the law, but also put herself and her family at risk.